Dish Network's eleventh hour Blockbuster purchase saved a number of stores from imminent closure, but the company still intends to close additional properties. Blockbuster has spun this into a victory; the company's blog claims to have "saved" stores as opposed to liquidating them. “Unfortunately, despite our efforts to reach reasonable terms, some property owners have closed stores,” Kelly added. “However, we’ll continue to look for opportunities for physical distribution in these neighborhoods as we expand our in-store experience, unmatched for movies and family entertainment." The company originally had some 1700 properties, of which 1500 are currently still up and running. 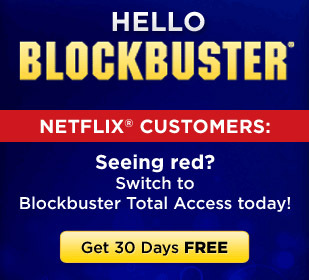 The company's online offerings may have gotten a welcome jolt in recent weeks; Blockbuster has launched a fresh offensive recently in an attempt to lure away customers angry over Netflix's sudden price hike. Last week, the company announced it would offer a combined DVD+streaming access plan with new releases arriving more quickly than on Netflix, game rentals for multiple consoles, in-store exchanges, and no additional charge for Blu-ray rentals. In and of themselves, the perks might not be sufficient to prompt a mass exodus, but it's a well-timed move on Blockbuster's part. The averted store closings are good news, but we've yet to hear much from Dish on how it intends to integrate the Blockbuster brand into its own offerings. There aren't many linkages between satellite broadcasting and physical film distribution, and no simple way for Dish to convert Blockbuster into a hybrid company while keeping prices competitive with the online-only offerings.